Here’s an advance look at some of my research findings. The full report publishes soon. When I asked global content strategy leaders what their top goals and responsibilities are, five clear themes emerged. 1. Creating a global content strategy While about half the organizations I interviewed said they have a global content strategy, the rest admit they don’t yet have that aspect of content marketing formalized. Some have domestic strategies or have worked out strategy on a country-by-country basis, but tying it all together is complex — from strategic and logistical standpoints, as well as from the perspective of convincing diverse stakeholders, groups and regions to get on the same page. If 70 percent of organizations in the US don’t yet have a documented content strategy domestically (according to numerous research studies, including my own), looping in over 93 nations is geometrically more complicated. 2. Evangelizing and socializing content strategy (and content, period) As one executive I interviewed put it, “A content strategy is just a piece of paper. The really difficult part is implementation.” “Evangelism” is a term I heard over and over. Convincing senior management to allocate budget. Determining who spearheads initiatives. Making certain numerous voices are heard, but that overarching rules and guidelines are enforced. Developing training programs, perhaps establishing a Center of Excellence. Small wonder that when asked what their principal duties as global content leaders are, “change management” was the most-cited term. 3. People Content can’t happen without people, one of the three lynchpins of enabling a strategy (the other two, process and technology, follow). A global content strategy requires buy-in from senior leadership. It also requires content leaders, often in central command roles, as well as regional leaders who can help oversee efforts on the ground in, say, Europe, Asia or Latin America. People in lines of business other than marketing have to be involved in content initiatives, too. IT is one obvious area; so, too, is legal. But the really good content leaders know looping in divisions where stories and customer-facing issues lie is also critical. This means establishing relationships with customer service, product groups and internal thought leaders, not to mention sales divisions and often even HR and recruiting. Content strategy relies on strong relationships, consensus building and the ability to tap into diverse skill sets. 4. Process The components that enable and streamline a global content strategy are, by definition, more complex than what keeps a single-country content strategy chugging along. As a content leader in Scandinavia puts it, “Process and governance are where it gets complicated and expensive. But leave these out and quality is the first casualty.” Overwhelmingly, I’m finding process is driven top-down. Most organizations have a central, overarching content strategy or, failing a formal strategy, governance on levels such as brand and/or legal. But at the same time, process must also be driven bottom up, with countries and regions given enough leeway to develop their own initiatives, and also granted sufficient resources to allow that to happen. Establishing process also means developing training. Nearly every organization I interviewed has initiated formal training, ranging from mandatory courses in topics such as Digital 101 to highly specialized modules on discrete disciplines. Finally, process encompasses metrics and KPIs, broken out for global, as well as regional and local initiatives. 5. Technology Clearly, no digital marketing initiative occurs without technology, global content marketing being no exception. Technology’s role is to enable, centralize, streamline and optimize. The number one need I heard in my interviews (as well as from companies I’ve worked with in this capacity) is centralized assets — a digital asset repository where creative elements can be easily stored, accessed and retrieved. Not only does this require the usual tool assessments, but also carefully designed taxonomies and tagging that will work across languages and cultures. Shared assets are just part of the call from collaboration tools. Unilever has saved millions of dollars worldwide by enabling shared assets and collaboration, so multiple agencies and internal stakeholders can drink from the same well, so to speak. Knowledge sharing is another important role of technology, as well as the ability to share work and results. Nestlé has built out an extensive internal social network for content creators for exactly that reason. Finally, while it’s important to assess tools for global accessibility and fluency in multiple languages and alphabets, it’s essential to understand there will be exceptions in regions like China, where firewalls create a need for separate systems. As I finalize this research, I look forward to sharing more findings. In the meantime, if you’re conducting content marketing on a global scale, please share your successes and challenges with me. Read more about Global Content Strategy: It’s Gonna Be Big! Content moving beyond screens into the “phygital” world of beacons, sensors and the Internet of Things has been a focus of my most recent research. Together we’ve looked at some of the benefits brands such as Nestlé, GE, Marantz, and Disney are reaping from campaigns that go well beyond “the right message to the right person at the right time.” They’re adding additional contextual elements such as purchase history, weather conditions, location and demonstrated consumer interests to create messaging and campaigns that are personalized to a degree never before possible. Yet doing so is an immense challenge to the enterprise. Context requires getting plenty of ducks in a row (even ducks in departments other than marketing). I asked major brands already active in the field for their best-practice recommendations for gettingcontextual marketing off the ground. Here, in aggregate, are their recommendations. For pilot projects, initiatives often start with just one line of business (e.g., email, customer service, social or mobile), then spread more broadly through the organization. Education, knowledge-sharing, agility and empowerment are essential to spark thought and experimentation. As with every other form of marketing, content is foundational to context. For contextual campaigns, content strategies must be significantly expanded to address different contextual elements. This must encompass not only goals and KPIs, which can be myriad, but also the many additional situations, conditions, offers, customer profiles conditions, locations, device interfaces and other specifics that go into communication and messaging. Content strategy must also be linked to product strategy for many contextual initiatives, and it must address design and user experience to a higher degree than in other marketing scenarios. The real-time nature of contextual campaigns requires outbound and inbound scenario mapping, then scripting content to address numerous potential situations and reactions, both to offers and the campaigns themselves. When D+M (Marantz’s parent company) is called out for being slightly creepy with proactive customer service push messaging in response to consumer behaviors with their devices, the scripted response is, “You would expect this level of support from BMW. Why not from us?,” which the company has found to be a successful way to allay customers’ feelings of surveillance. This applies equally to potential consumer cross-domain sensitivities. Real-time and context go hand-in-hand. Location data, for example, cannot suggest a customer visit a venue when it’s closed at 11 p.m. Iced tea is an inappropriate offer for a snow day. My earlier research outlines 12 steps to prepare for real-time readiness. Many brands already have what I’ve referred to before as “always-on war rooms” in which well-trained analytics and social media teams continually monitor digital sentiment and react and optimize their messaging in real time. The sentient world will rapidly become part of this intense, pressurized marketing function. Even more than with email and social channels, contextual communications cannot be pushed on unwilling or unreceptive consumers. In addition to offering value to make messaging welcome, permission is a critical component of the brand/consumer dialogue, as is an opt-out mechanism, especially for brands leveraging data across domains (e.g. in-home, in-car, in-store and so on). Consider new partnerships, both internally and externally. Contextual campaigns touch areas beyond marketing, and the data inputs and outputs can be of value for a broad variety of stakeholders. This value can and should be used as a justification for spend, not just from marketing budgets but also from budgets of other lines of business. Understand what tech vendors bring to the table, as well as their limitations. A large player can act as a backstop but might limit experimentation. A small, nimble startup might be better for a pilot than a national implementation. Determine who will be responsible for the chain of technology — for example, a chain of 1,000 retail locations, each with 10 beacons. In a quickly evolving sector, it’s essential to keep abreast of tools, technologies, use cases, data and best practices. 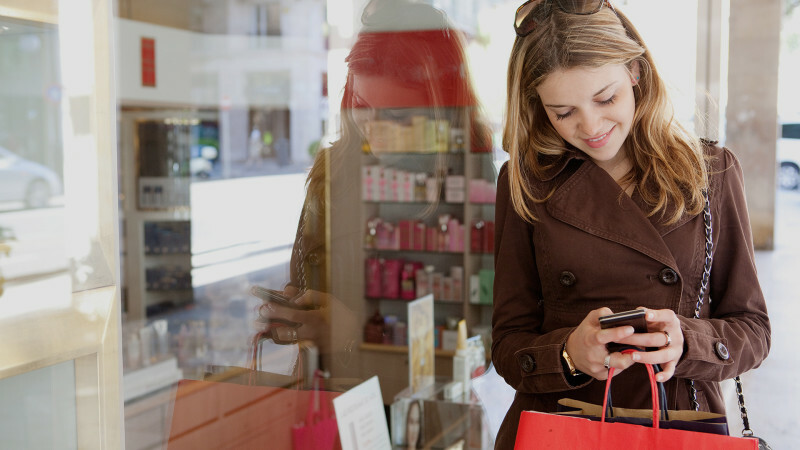 Over 90 percent of purchases are still made in bricks-and-mortar stores, yet few retailers and CPG brands make driving foot traffic part of their digital strategies, much less work to create unified, omni-channel customer experiences. Instead, they still rely on outmoded and increasingly ineffectual means such as print circulars. 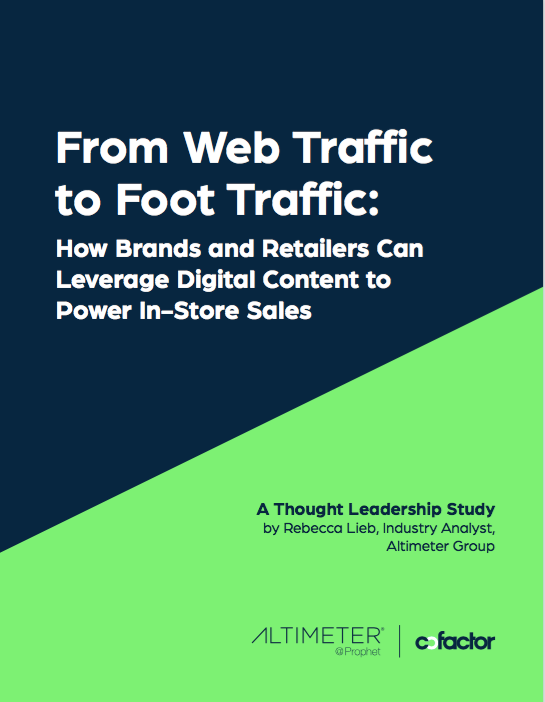 Recently I published deep research on how a unified content strategy can drive foot traffic, spur purchase, and increase customer loyalty. The entire report can be downloaded here, but following, a summary of the risks, and the rewards, of content strategy for retailers and CPG brands. When customers demand to be treated as unique, recognizable individuals across all company touchpoints, it becomes risky to not deliver that experience to them. This becomes a ripe opportunity for competitors to capture those customers. Most successful companies are built on the support of their existing customers, not the addition of new ones. By not delivering content to customers that makes them feel recognized, or that they have a personal relationship with#a brand, it could alienate longtime supporters, who only need one bad experience to take their business elsewhere. Imagine a grocery store continuously sending discount coupons for meat to a longtime shopper who is#a vegetarian, or a department store sends an in-store promotion for children to a childless couple. Customers no longer want to be part of a faceless mass. They demand to be recognized as individuals and are very aware of brands' ability to do this. While print and other traditional marketing methods are not going to completely disappear, their influence and reach is diminishing each year as customers add other channels to their daily content consumption mix. Continuing to invest in these traditional channels at the expense of digital will result in diminishing relevance, and correspondingly, less people coming in to stores. By far, the biggest advantage digital has been able to offer is the ability to track and measure the advertising efforts put in place. This leads to more efficient budgetary allocation, more knowledge of the customer and more concrete decision-making, when it comes to serving the right content to the right audience. These capabilities simply don't exist in a non-digital realm, which still relies mostly on second hand, sample sized knowledge provided by publications and networks. Despite the many challenges, and risks involved, the rewards in digital advertising are exponential once the many cogs start clicking into place. 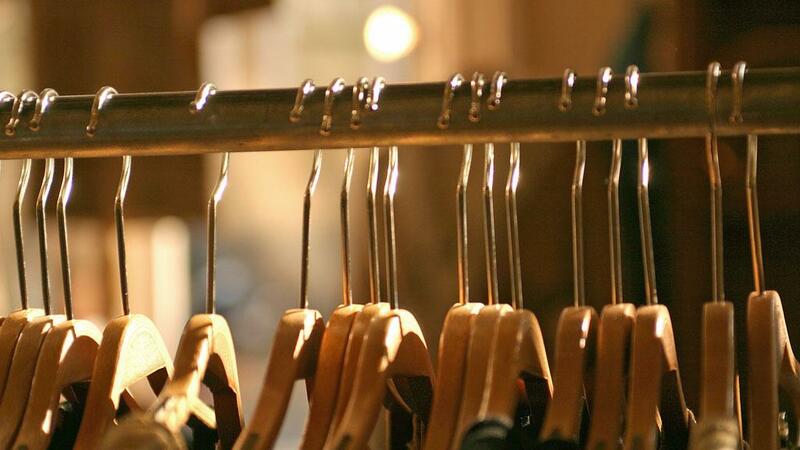 Retailers and brands have an opportunity to connect with their customers on a far more meaningful level than simply advertising at them. Through targeting, they can create solutions for a customer to solve problems that are specific to those individuals and their lifestyles. Knowing a customer's likes and dislikes, what time of the month they are most likely to buy, or what type of promotion they are most likely to take advantage of is crucial information for personalizing content. Once a customer realizes they are being treated as an individual rather than a demographic segment, there's a greater chance of them remaining loyal to that brand, and even advocating on their behalf. In essence, digital advertising now allows B2C marketers to bring the intimacy, and long term engagement of a B2B customer relationship to its audiences. Until a customer walked into a store and bought an item, it was difficult to know who they were, not just in terms of demographics, but in terms of their interests, habits, and responsiveness to content. All of that can now be measured by reaching customers at all the digital locations they visit before coming to the store. This includes the company website, search results, mobile, social media, and email. Instead of building the store and waiting for them to come, marketers can engage customers where they already are. "It's critically clear that digital advertising drives in-store traffic, whether we do it through retargeting, paid search for services, or mobile advertising," says Alison Corcoran, senior vice president, marketing of North American stores and online at Staples. "Display does a good job for in-store and online, Search does drive some in-store, but more online. Retargeting depends on audience. 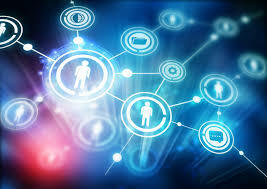 Social drives in-store but not too much online and affiliate marketing drives more to our site." Mobile is an especially potent addition to this mix, since it is a gateway to the customer at all times. There is a delicate balance to be implemented, which avoids bombarding a customer with constant messaging, and instead sending them a meaningful message at the moment when they are most likely to take action. Digital also solves a scalability problem traditional messaging#can't. Erik Rosenstrauch, president and CEO of marketing agency Fuel Partnerships recently found success with this omni-channel approach when launching the new Sbyke scooter at Walmart during#the holiday season. "How do you market to 500 stores across the country? You can't use any traditional methods because they'll be#highly inefficient," says Rosenstrauch. "We came up with a digital campaign that was both mobile, and web, and highly targeted, advertising only to people within a five-mile radius of each store." By leveraging a variety of databases to get to the correct IP addresses# and mobile numbers, Fuel was able to track the people who responded#to the ads, and service them with additional content, such as video demos and visual information. These efforts resulted in a 700 percent lift in sales. Attribution has always been a problem when it comes to traditional advertising. Most companies lacked the concrete evidence that proved their messages in print, TV and radio were actually what was driving customers into stores. 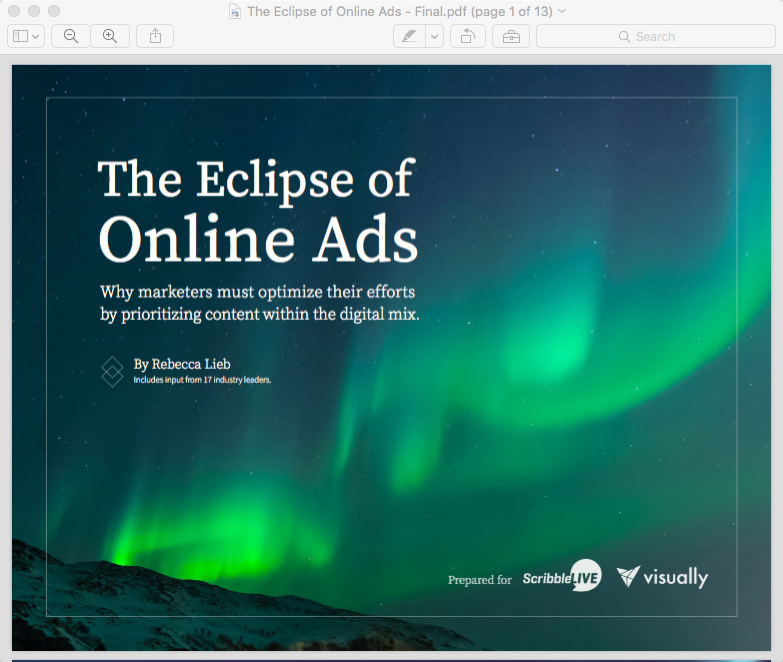 With basic digital display advertising, much of the same problem remains. It's difficult to link an ad impression, or even a click to a person showing up in store. However, if there is strategy in place that links online customer activities with offline behavior, this attribution becomes far easier to see, and leverage. To achieve this, it's necessary for both the offline teams and online teams to be able to see the same customer information, in real-time. More important, digital messages must function beyond brand awareness. Messaging might include information about product availability, specific promotions that can only be availed in-store, or knowledge of local events/conditions that make the message more compelling, and relevant to each customer. Different combinations of messages, content and delivery times can be tracked to see what's working, leading to even more optimization of the advertising efforts. Local is the secret weapon for retailers/brands to push competitors (and Amazon) off their turf and bring shoppers back into their storefronts. Specific knowledge of local events, conditions, culture and people can be powerful in the hands of a skilled digital marketing team that can program ads to serve up dynamic content based on who will view them. For example, REI found success by leveraging local knowledge of weather and generating dynamic content around the topic. Local targeting doesn't even have to be very complex to work. Through a partnership with the Waze app, Target was able to get customers into its store simply by messaging them when they were in close proximity to a store location. There's no debating the fact that content is not only a hot topic, but an essential part of digital strategy. Advertising effectiveness is on the decline, a trend fueled by a myriad of factors ranging from consumer control (and a subsequent unwillingness to be interrupted) to banner blindness, click fraud, and ad blocking software -- very much in the news currently thanks to Apple's new iOS 9. As ads in paid media diminish in effectiveness, marketers are forced to confront new ways to connect with customers. This can be via owned media, i.e., pure content marketing; earned media, defined as social or PR, when sharing and/or input is requested from the audience; or forms of converged media, such as promoted posts in social or native advertising on publisher channels; or paying influencers to promote owned and earned content. Regardless of the channel or medium, content is the one element that cannot be absent from the marketing equation. Paid, owned, earned -- without content, there's nothing. Advertising without content is empty time or space. What else is advertising, after all, than renting time or space from a publisher or broadcaster to inset a message in the form of content? Social platforms, search, email, websites and microsites, apps, all are mere containers for content. If there's no content in these channels, it's the digital equivalent of dead air. Where things get murky, however, is the cost of all this content. It's surprising how many in this industry see cost as a straight apples-to-apples comparison. The prevailing fallacy is if you take a dollar out of the advertising budget, and that means an extra dollar for the content budget. But it just doesn't work that way. That dollar gets reduced significantly. What trickles down to content is only maybe five to 15 cents. Content is just plain cheaper than advertising, which is why that dollar is subject to a hefty exchange rate. Both content in earned and owned media require an investment, just as does creative (which is, let's face it, just a fancier word for content) in advertising. But strip away the cost of the media buy -- the highest-ticket item in marketing, and there's most of your budget right there. Content isn't cheap. "Just hire a blogger" has long since ceded to videographers, developers (both web and app), graphic designers, photographers, and others skill sets more technical and specialized than basic writing ability. But absent that media buy, content will almost always, without exception, be cheaper than advertising. Content requires tools, however. I've mapped the vast vendor landscape. However, this investment, which can be significant, isn't generally part of a budget line item for content. Instead, it's filed under marketing technology or a similar line item. Few organizations have content departments or divisions, another reason it's so difficult to tease out those content numbers. Jobs with "content" or "editor" in the title are sharply on the rise, but they tend to hover at the manager or director level. That will change, and roles will become more senior, but not for another year or two. Content remains more everything than it does its own thing -- in other words, until it's cordoned off into a defined discipline with a budget, a staff, and its own line items, it will remain extremely difficult to quantify what content budgets really are. From company to company, sector to sector, budget to budget, your mileage will vary. Still, no matter how you slice it, more and more marketing dollars are pouring into content. Less into paid, more into owned and earned. And there's no end in sight to that trend. This post orginally published on iMedia. Research. It's a tried and true component of many a content strategy. Well-crafted, informational, and analytical research is a solid lead-gen tool. It can created publicity, awareness, and has the potential to be amplified in shared media channels including social and news media. Research can be sliced and diced into numerous shareable, reusable artifacts: a PDF report, a webinar, speech, PowerPoint deck. Resultant frameworks and infographics are highly shareable in snackable social channels. And finally, research can be built upon year after year, updated and refined. As a research analyst, I've conducted a good deal of research and have also authored research for clients ranging from brands (Facebook) to trade organizations (the IAB). In discussing more and more potential projects with clients, it's become clear that research requirements, and processes, are somewhat opaque to many in the marketing department who want to commission research but don't know where to start. So let's unpack what's required for a solid and credible research report, whether independent or commissioned. The hypothesis is the idea a research report sets out to test. It's the Big Idea, e.g., CPG brands should invest more in mobile advertising; digital media can drive in-store traffic; or as ad effectiveness diminishes, content becomes more important. Like the outline of those papers you wrote in school, this document maps the story the research will tell. Will the research be qualitative? Quantitative? Or a combination of both? 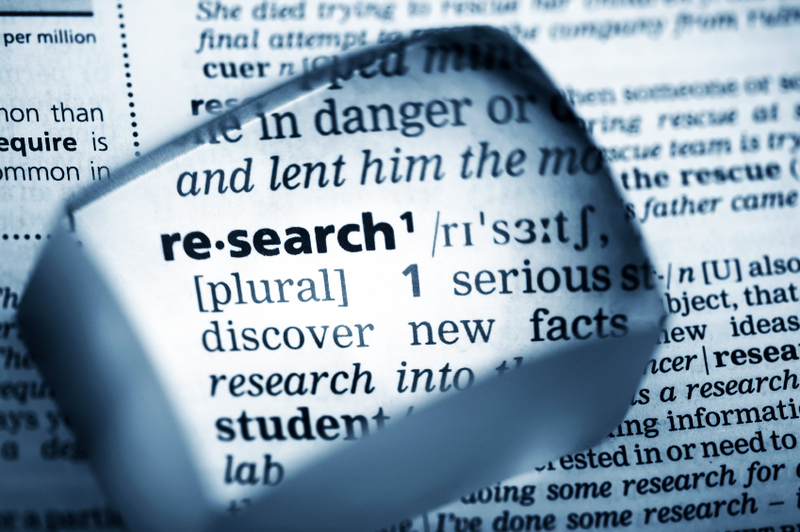 Qualitative research is based largely on interviews and observation, e.g., case examples or case studies. Quantitative research tends to be survey-based. In either case, determinations must be made as to who and how many people meeting which qualifications (title, job function, tenure, industry, etc.) are required to make the study legitimate. Lots of confusion exists as to the difference between a researcher and an analyst. The best analogy might be that of professor and grad student. The researcher is highly trained and qualified, likely almost a PhD. The researcher is the grad student. They conduct a lot of the leg work, for example: finding case studies, obtaining permissions for materials to be used, ensuring process is adhered to and act as liaison between all parties contributing to the research project. The analyst is the author of the research. It's their analysis of the results that determines the findings. Analysts and reearchers share the balance of work differently, but in all cases the analyst enjoys "final cut." If a researcher is part of the project, an initial job is to construct the project timeline. This is basic project management. Arguably the most important component of a research project other than the hypothesis are the questions asked of stakeholder. Research is based on findings and analysis of those findings, not opinions. So if you don't ask, you won't have answers. 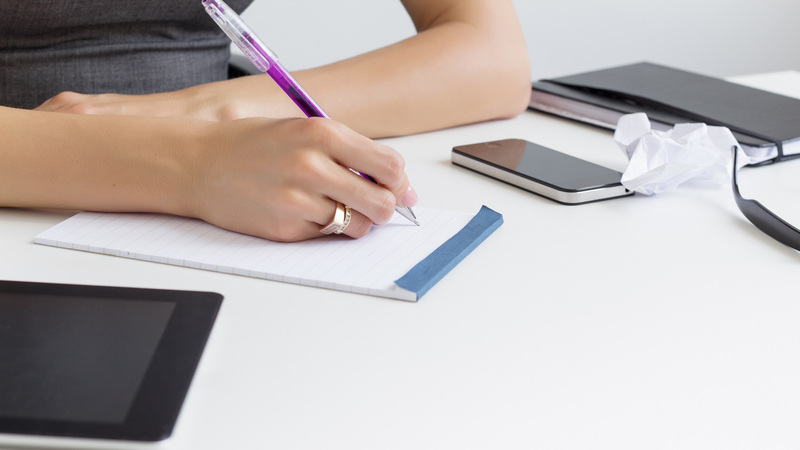 Questions must be thorough and address the hypothesis completely. At the same time, they must respect interviewees' time, so questions must also be concise. For quantitative research, support is needed. It may be a simple and free or low cost tool such as SurveyMonkey, or must more substantial support in the form of a research firm might be called for. A report I'm about to publish required a survey of more than 100 retail executives with very strict and selective parameters -- respondents' title had to be VP or higher, their role had to be in marketing, the retailer had to have at least 200 physical stores in the U.S., etc. Qualifying questions had to be crafted in addition to the interview questions to ensure respondents conformed to our requirements. This creates much more statistically sound and valid research, but these criteria come at a cost, often of tens of thousands of dollars. Research will almost invariably involve frameworks, charts, graphs, and other forms of visual information and storytelling. You'll also want a handsomely designed final artifact (usually a PDF). Daughter artifacts might include infographics and slide decks. Design matters, as does bringing in the appropriate talent and allotting ample time for design and revisions. This list of research report requirements and elements is by no means exhaustive, but certainly covers the basics. It's also intended to give marketers a sense of "How much does a research report cost?" Like building a website, or a house, there are many, many dependencies. Smart scoping is everything.